Perfect Biotics by Probiotic America: Industry-Leading Probiotics? Perfect Biotics by Probiotic America: An Industry-Leading Probiotic Supplement? There are at least 2 different supplements called “Perfect Biotics.” One is a liquid supplement from Perfect Origins and one is a capsule from Probiotic America. This review deals with the capsule product from Probiotic America containing 30 billion CFU per capsule. 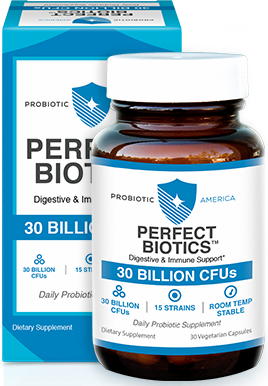 Perfect Biotics by Probiotic America is the product marketed by Dr. Cary Nelson, a board-certified family-medicine doctor in Woodland Hills, CA. Five other probiotic supplement formulations from Probiotic America are to be released sometime in the future. "Gas, bloating, and chronic fatigue can be a thing of the past. Experience increased energy, improved metabolism, better digestion, and the many benefits of a healthy digestive tract. Perfect Biotics is scientifically formulated to bring you closer to gut-bacteria-equilibrium...the ideal 80/20 balance of "good" vs "bad" bacteria so your immune system is running at full strength." What Probiotic Strains are in Perfect Biotics? What are the Other Ingredients in Perfect Biotics? The other ingredients at the time of this writing are microcrystalline cellulose, stearic acid (flow agent), vegetable cellulose (capsule) and silica (flow agent). 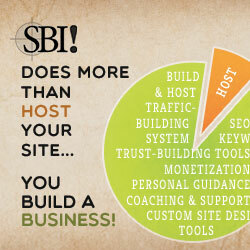 Note that this information differs from what is shown in their FAQ's. Please verify ingredients of any supplement prior to taking it. What is the Recommended Dosage of Perfect Biotics? The recommended dosage is 1 capsule per day, preferably with a meal. What are the Pros of Perfect Biotics? Although the strains used to be stated in prior marketing materials to be "genetically-engineered", according to the company representative who contacted me, "The term "Genetically Engineered" does not mean they are GMO. It means that the strains are carefully selected for safety, purity, and quality." Strains are said to be acid- and bile-resistant. According to the company representative who contacted me, potency is guaranteed one year after the time of manufacture. Packaged in dark amber glass bottles to limit exposure to air and moisture. Contains NO lactose, soy or gluten. Product is produced in a GMP certified facility and is said to be tested at their laboratory for quality, freshness and potency and then tested again by an independent third-party lab. What are the Cons of This Probiotic Supplement by Probiotic America? Only the species are given; you don't know which strains are in the product since the information is proprietary. Only the total CFU is given; you don't know how much of each species is present. No studies with this supplement as a whole supplement have been performed to my knowledge, although this is not unusual. Very few multi-species probiotic supplements are used in studies. Instead, species and strains that are show to be effective are mixed together in most multi-species supplements such as this one. Whether or not the strains compete with each other in a laboratory setting is not known since we don’t know which strains are in it. Compared to other multi-species probiotic supplements, this one contains a high number of total CFU of 30 billion per capsule, but with 15 different strains, some of those strains may have negligible amounts. There is no way to know. Sold only online via their website. You can read consumer reviews of this product on the HighYa website. Where to Find Perfect Biotics? As of the time of this writing, the only place to order this probiotic supplement is from the Probiotic America website. The company has an A- rating by the BBB as of July, 2016. Is Perfect Biotics from Probiotic America the Right Supplement for YOU? I had a lot of misgivings about this probiotic supplement when I first wrote this page, but thankfully, a Probiotic America representative, in July, 2016, answered many of the questions I had. This page now reflects the new information. It is a relatively high-potency supplement with "safe" species of lactic-acid bacteria and is packaged securely. If you would like help in determining if this probiotic supplement is right for you or what your needs are, please consider nutritional consultations with me. A supplement is just that: supplemental to other healthy lifestyle factors. A supplement should not replace good eating habits and taking care of oneself and nutrition consultations can certainly help with those. Thanks to Cecelia, Juan and Janet for suggesting a review of this supplement! If you take or have taken this probiotic supplement, please comment on it via one of the methods below or via the Contact Us form so our readers can know your opinion.